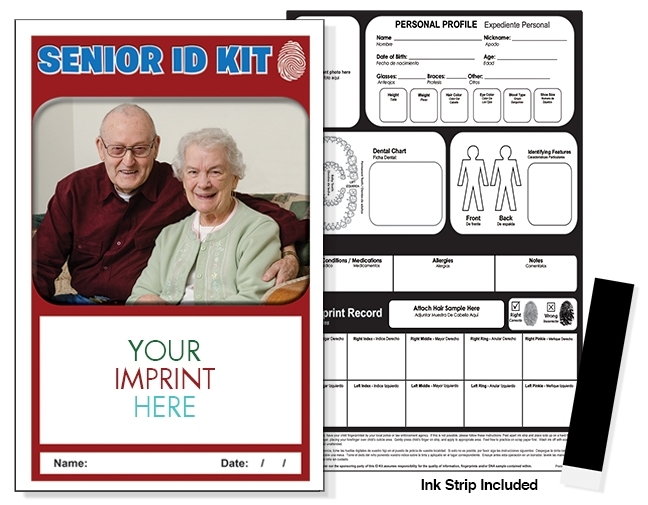 Senior ID Kits - stock version to choose from – or customize the product to your liking! Valuable Safety Items for any family with aging parents and grandparents. Record keeping sections for Personal Data: Photo, identifying features, dental record, medical conditions and a full fingerprint record. Includes Safety Tips and section for emergency phone numbers. 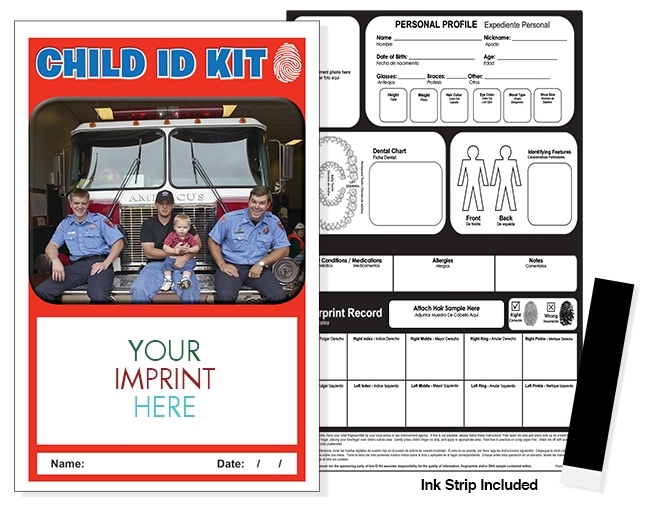 Product is packaged in a re-sealable, clear poly bag and includes an ink strip for ease of fingerprinting. Imprinted in Full Color. Posting this important data in an easy-to-find location could save your life. 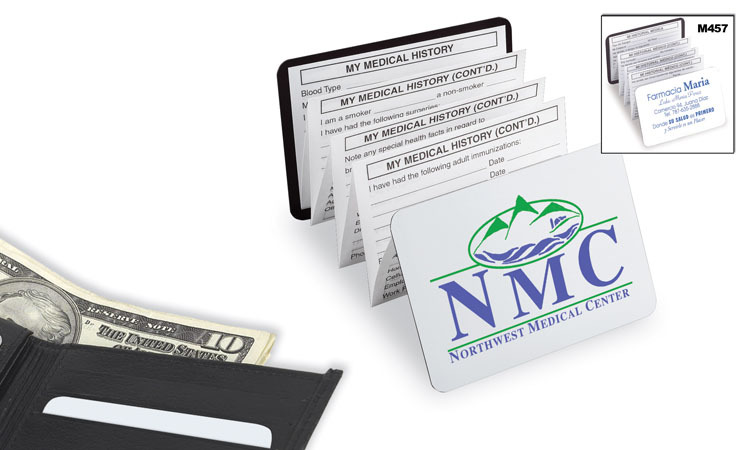 Includes space to record your medical conditions and medications, your doctor, allergies and whom to contact in the event of an emergency. Great for babysitters, seniors, kids and parents. A must have for every household or office. Just Peel and Stick!